Washington, NJ: The two-stage Witte 700 Series classifiers from process equipment manufacturer The Witte Co., Washington, New Jersey (www.witte.com), automatically screen the plastic pellets through two, consecutive screening decks, each perforated with holes based on the required pellet diameter. As pellets enter the infeed, the company’s proprietary vibratory technology spreads them into a single layer and directs their advance towards toward the screens. Developed for removing oversize, long and “short-long” pellets with high classifying efficiency, off-spec pellets are collected through two discharge chutes for reprocessing while pellets that meet specifications are collected separately ready for conveying, processing or packaging. The 700 Series two-stage plastic pellet classifiers features a clever “overs” first-stage screening deck that may be quickly raised or removed with no tools. 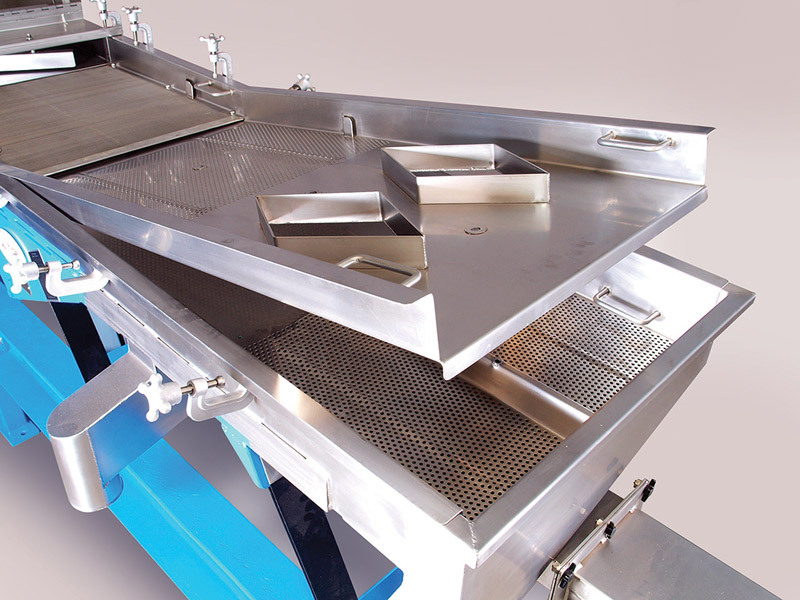 Included as standard on the 700 Series vibrating classifiers, the removable screening deck allows full access to the second stage “overs” screening deck below, ensuring cleaning is complete and any blockages may be quickly located and cleared.